This week I would like to say something on males becoming men – or to be more exact – about men not acting like boys; men not acting like adolescents. Having fun and being with our mates is one thing – behaving like young adolescents when we are in our 30s, 40’s, 50′ or even 60’s is quite another thing. I often hear from women that I know, that they would love for their men to ‘grow up’. When we, as men, stay stuck in our boyhood or adolescent behaviours it is generally a turn off for women; at least for those women who have moved on and entered their space of being a woman. One of the common things that women bring to the couples sessions that I facilitate is their frustration of not having a ‘man’ beside them; not having a man present in the relationship. I know that in my own relationships this has been an issue and I have worked hard to change this (with a very good, but not a 100% degree of success). It is work in progress. Our journey, as males, from adolescence to manhood is not just a physical one; we have to also mature and grow with our emotions and our feelings and our communication skills. Learning to do this and having the desire and the will to do this can be a challenge; especially if we are heavily invested in behaving like an adolescent. What growing up generally means is, we take on more responsibility and awareness for our thoughts, feelings and actions and learn how to communicate in a better way. The world is full of ‘Little Boys’ running businesses, governments and families and it is high time that these positions were taken over by men. 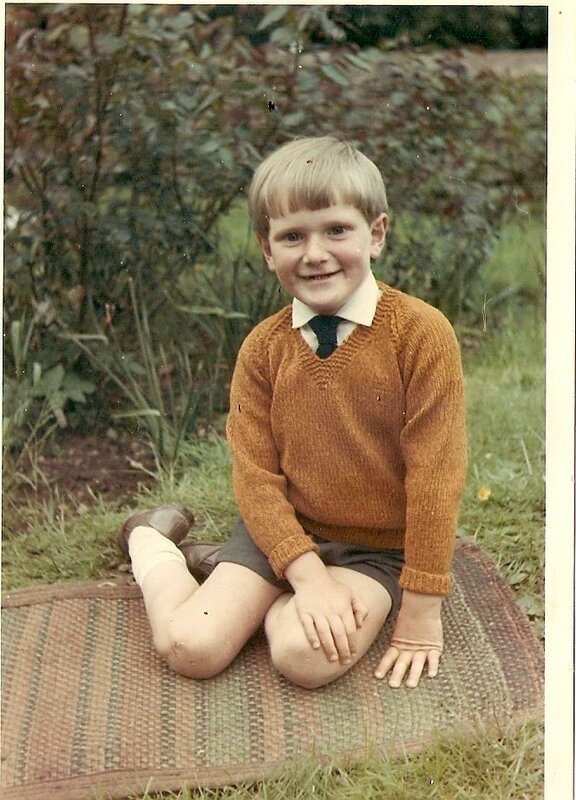 One regular observation that I have of this ‘Little Boy’ behaviour is when I watch or listen to the males in Parliament in Canberra, or actually in any other parliament in the world. The communication and the behaviour is some of the most appalling adolescent behaviour that I have witnessed and I have been a youth worker for many years! When we, as men, learn to behave and act in a way that represents our real age, then perhaps the world will be a better place with less wars, poverty, crime, greed, damage and have lots more conscious and peaceful leaders. If we had better role models perhaps we would get better followers and supporters for these leaders. As men, what can we do to become good role models for our boys and adolescents and for other men? What can we do Right Now in our lives to up the ante and change some of our boyish behaviours and actions? One thing that we could all learn to do, is to become more conscious of how we think, feel and act in the world. We could learn to communicate in better ways and learn to be more present. If we all take the steps to do this, then the ripple effect would soon become a wave and one day become the norm. A big dream – yes – Is it possible? – yes, I believe that it is. This week I have stepped back into facilitating men’s circles after an eight month break and it feels great to be doing it again. This is one of my contributions to help support myself and other men to move on, step up and step into being a more consciously aware man. In this work I get to look at my own way of being and also support other men to see theirs. Together we can work together as a community of good men and become role models for others. It is very empowering and wonderful work and I take my hat off to the men who find the courage to do it. 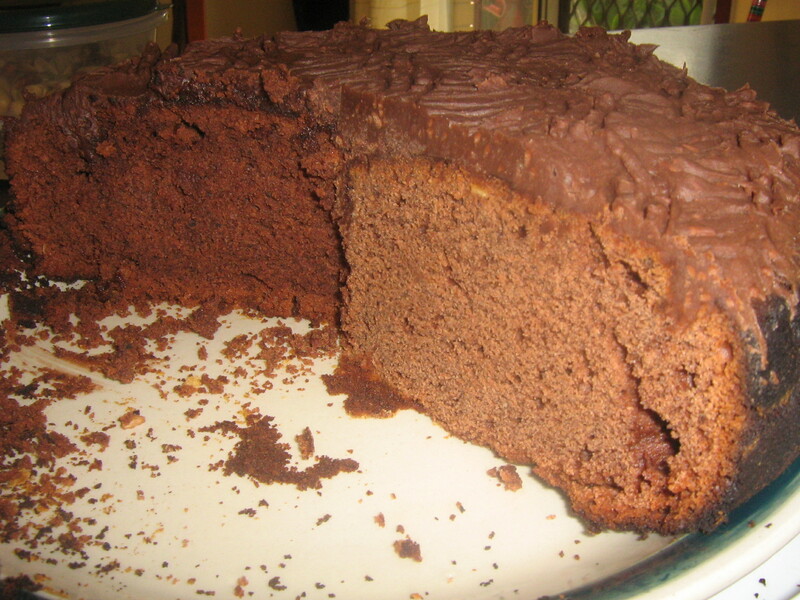 The cake recipe this week is for a Chocolate Banana cake. Wherever possible I use organic ingredients. Recipe: 3 eggs, 200 grams of sugar, 200 grams of butter, 5 bananas – chopped, 400 grams of self-raising flour, 1/2 cup of milk, 2 teaspoons of nutmeg, 1 teaspoon of cinnamon, 1 teaspoon of vanilla essence, 50 grams of grated chocolate. Method: Melt the butter and allow to cool. Mix the eggs, sugar, nutmeg, cinnamon, vanilla essence and milk in a bowl for one minute. Add the cooled butter and mix in well for one minute. Add the flour and grated chocolate and mix for about two minutes. 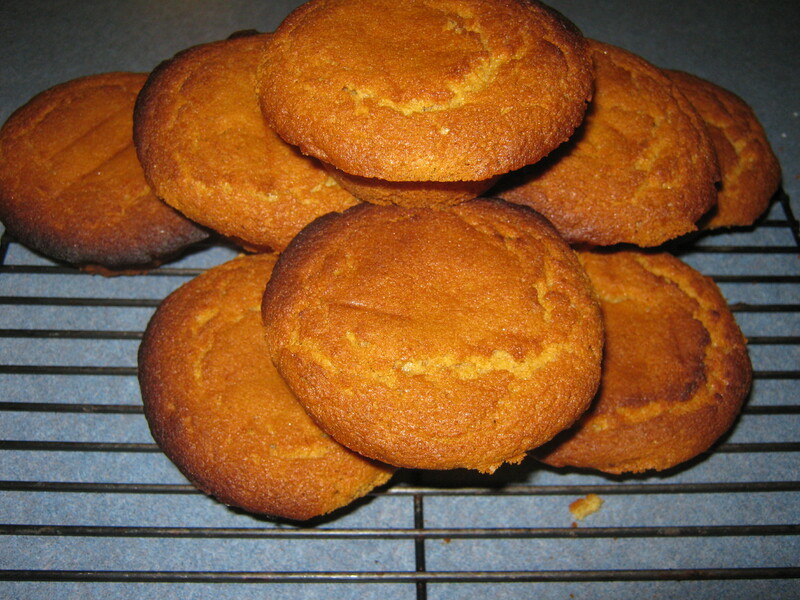 Place the mixture into a lined buttered/greased cake tin – I use a round 25cm tin. Bake for 30-40 minutes at approx 190C. I generally cover the cake for the last 10 minutes with a pizza tray if the cake is browning to fast. Little Adrian has been a little bit active this week. He has been poking around inside of my soul and mind, trying to get a stake in the goings on of my present life. This is an ongoing challenge and battle for Master Adrian as he tries to establish and stay in control of the decisions that he has to make everyday. Having the insight into what is going on with these battles; with these challenges, and having the skills and knowledge to deal with them, are a god-send. Knowing that I have the ability to quiet and calm, the often scared and confused little boy and let him know that all is well and good and in control is very comforting. My new personal development and empowerment book (Where am ‘I’ Right Now?) is beginning to take shape ready for final editing and publication and Little Adrian is popping up with many excuses and avoidance tactics to prevent this from happening. He (LA) is scared of this and it takes Master Adrian (MA) quite a bit of time and energy to settle things down. The fear of ridicule, rejection, criticism, being corrected, fame, great wealth and a myriad of other things, come to the surface and have to be quelled and calmed and transformed into more positive thoughts and beliefs. As the battles rage, or take place in more subtle or sometimes more seemingly clandestine ways, I become more alert and can then decide on what course of action to take. For me, there are always two choices: Be led by Little Adrian or by Master Adrian. Each one will have a different outcome depending on the course of action that I take. Generally the Master Adrian options lead me to more self-empowerment and better results and it is this choice that I generally like to take. However, on occasions, where I ‘choose’ to follow Little Adrian, I lose my power and the results are generally not so positive. Although the results may be less positive if I follow LA’s instructions, he does then feel safer when I follow his lead, and this is, of course, why he tries to lead me to do what he wants in the first place. This is the whole point – Little Adrian is scared! often the lack of action through fear or doubt feels good – safer, because it is – for the little ones inside. However, this does not usually help us in moving on. When we learn to deal with the little ones inside and let them know that it is safe and under control, we can generally get on with our tasks. When we start to stretch ourselves and to do new and more challenging things – like writing and publishing a book – then the little ones usually pop up with something to say. Quite often they are saying : “I am scared” – “This is not safe” – “I feel as if I am about to be hurt/punished/ridiculed/rejected” – “Get me out of here”. When we learn how to turn to our ‘inner child/ren’ or younger aspects of ourselves, we can use these opportunities to grow and become more present and in control of our lives. 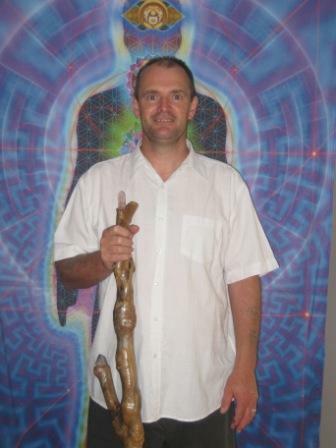 This is a wonderful tool to have and can help us to become more of the amazing powerful beings that we know we can be. Method: Melt the butter and chocolate in a pan and leave to cool. Mix the eggs and sugar and milk together with a mixer for 30 seconds. Add the orange juice, cooled butter and chocolate and mix for another 30 seconds. Add the flour, cocoa powder and mix for a further two minutes. 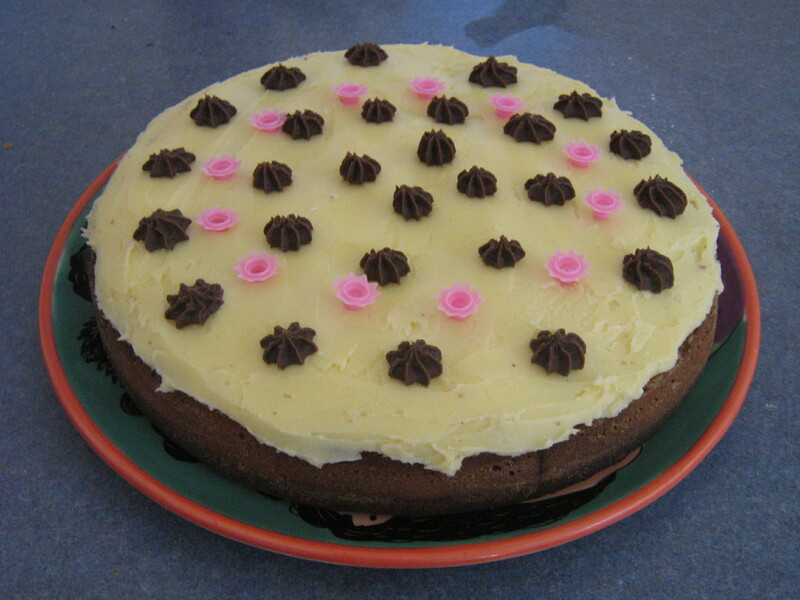 Put the mixture into a lined/buttered cake tin – I use a 25 cm round tin. Icing: Mix all the ingredients together with a fork until smooth. Baking time: Bake in a moderate oven – about 190 C for approximately 30 minutes. Leave to cool and then add icing on top. The MAN in me is angry, mad, bursting to scream at the world – he is wanting to say something like STOP IT -WAKE UP – STOP THIS NONSENSE – STOP THIS MADNESS – STOP THIS INSANE BEHAVIOUR!!!!!! And then I breathe and take a look at how long it has taken me to wake up to where I am Right Now. I know that I am still not fully committed to being 100% environmentally, ecologically, emotionally, spiritually and freely present in all that I do. Part of my screaming and anger is at ME – at myself! I ask myself, what does it take to make the next step? What does it take to make the commitment? What does it take to really move on to another level of consciousness? This is what sits with me today. I read emails and Facebook comments with some deep skepticism and judgement when I read the: ‘loving’, ‘life is wonderful’, ‘just meditate’, ‘be happy’ messages. There is a world out there with children dying of hunger, people losing their homes, countries being invaded, legs being blown off by landmines that lay un-exploded in there thousands. All this going on whilst a very small number of the population sit in vasts amounts of wealth that could help to change this overnight. Every human being could be cared for, fed, educated, housed and be in a better state of health and wellbeing – but for this insatiable and crazy greed. This is what gets me mad – this is what makes my blood boil. This is what makes the Man inside of me want to scream at the world… And then I breathe, meditate, calm down and start to put a few things into place to do my bit to help the world and feel a bit less angry, bitter, mad. In this place I can make decisions to continue my good work as a coach, facilitator, trainer and author and do my bit to reach out to the world to support other people. I think of the children and adults living in the Botshabelo orphanage and community in South Africa and know that my support to them is good work. If we, the more fortunate, can choose to spend even one hour per week trying to support the less fortunate – wow – what a difference that would make. What a difference it would make if we could pool this energy collectively and speak out as one big voice – this is my dream – and I feel it happening as I meet new people everyday who are doing this – the tide is beginning to turn- there is a place for anger – it is a place of transformation – turning the anger energy into constructive energy – that is the place for anger – in the furnace of change. I love my anger, my madness, my rage as it burns me into a passion that helps me to be more creative – the difference with man anger and boy (adolescent) anger, is that I can control it and put it to good use. The man in me loves that! 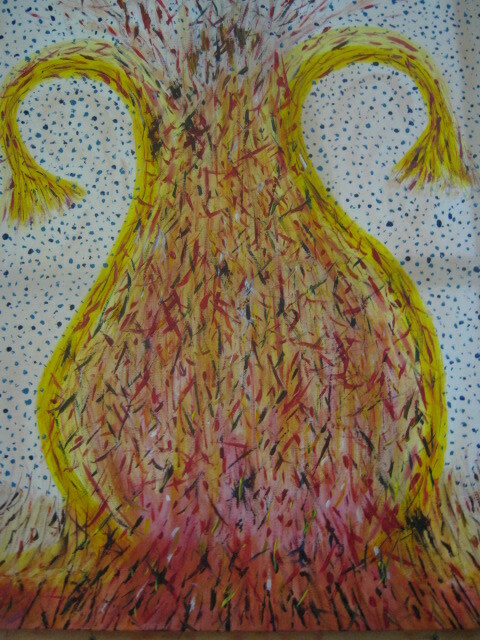 The picture above is a painting that I did – it is called ‘Containing Astrality’ it could also be called ‘Containing Anger’, as they are connected. 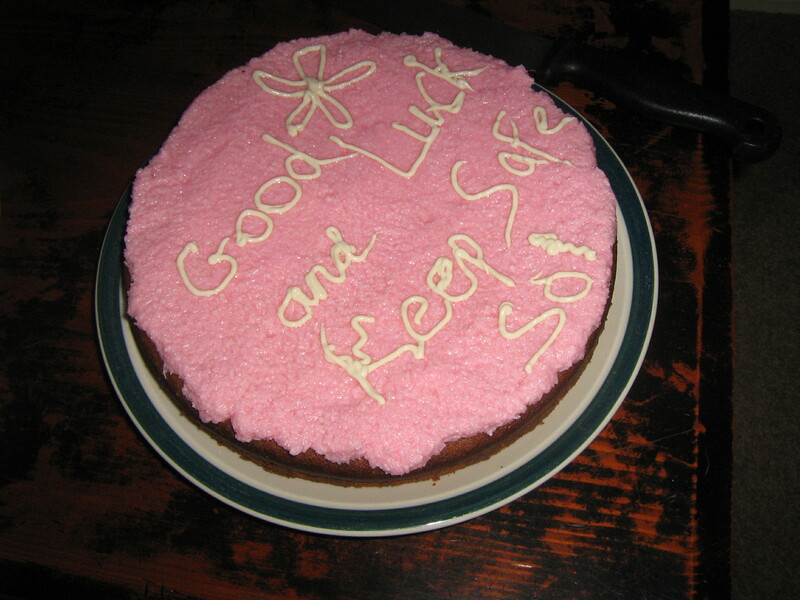 Okay after all that rave – this weeks cake recipe is a new one – developed this weekend. It is for some Crispy Breakfast Muffins. Ingredients: 3 eggs, 200grams sugar, 150 grams soft or melted butter, 400 grams self-raising flour, 1 teaspoon baking powder, 200 grams of breakfast cereal/muesli (something with flakes, fruit, nuts, etc) like, 1 1/2 cup milk (might need a bit more), 1/2 teaspoon vanilla essence. Method: Mix eggs, sugar and butter in a bowl for one minute. Add the milk and vanilla essence and mix in well. Add the other cereal and mix slowly until well mixed. 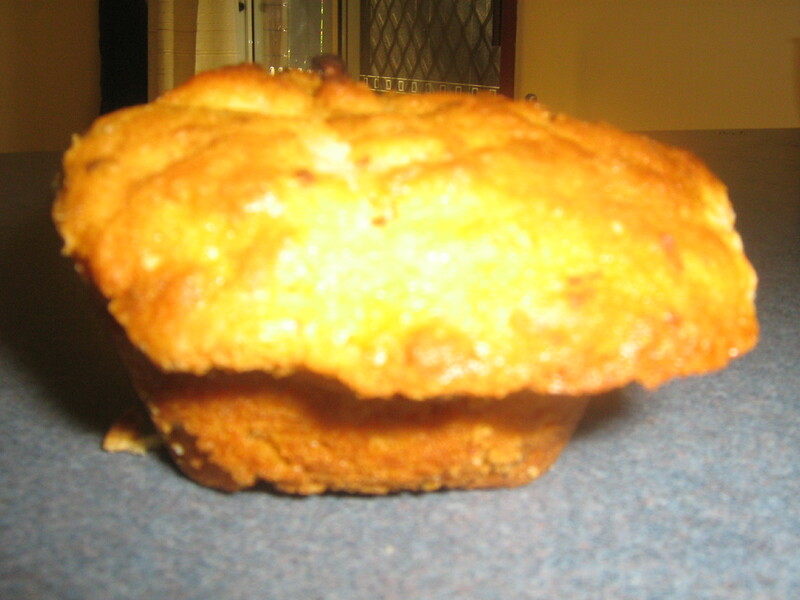 Place into lined muffin tray – it will make 12 good sized muffins. Bake for 15-20 minutes at about 200 C. Yummy for breakfast or any other time. Wow – it seems that only a few moments ago my boys were still boys … and now they are stepping into man hood. My youngest ‘boy’ is almost 18. I have just returned from a weekend away and being with 3 of my ‘boys’ and it was just wonderful. 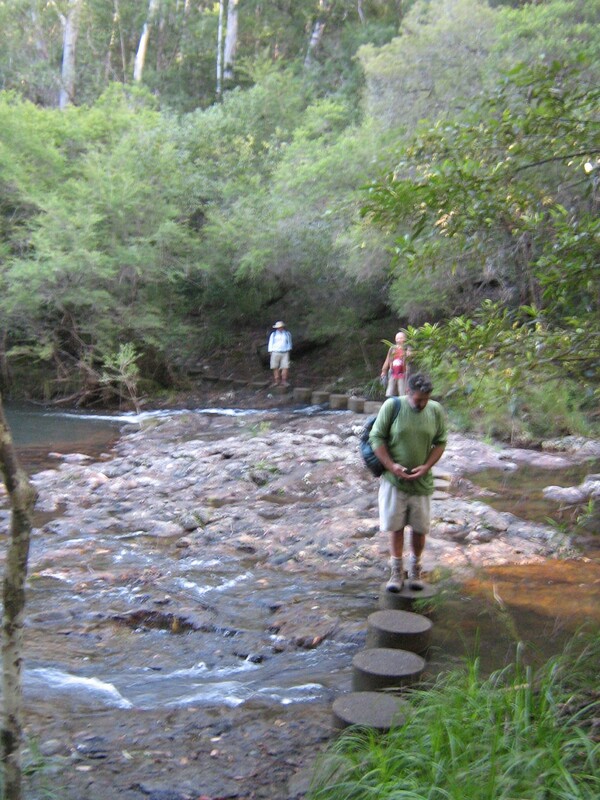 My other ‘boy’ (my ‘step’ son), is in South Africa having a dad experience with his father. My eldest ‘boy is off overseas in a couple of weeks – he is in the army and will be away for 5 months doing what he needs to do. Letting them go is never easy, not interfering too much is not easy, speaking my mind and my truth is also not always easy. That is the challenge of being a father I suppose; learning to speak, let go and not interfering is all part of the journey. As they grow into being men, it is also their challenge to let go, not interfere and speak their own truth. Young men can learn this, to some degree, from what we, the older men, show and teach them. we can learn to lead by example – and sometimes this is not easy, as we all get it wrong on occasions, I know that I certainly have. Being with my ‘boys’ on the weekend gave me a real sense of pride. I am proud in the way in which they have developed and grown and am proud of the way in which I have been a father to them – I have learned to let go of old past guilt – and am proud of who and what I have become. Seeing them walk their own paths and find their own way of doing things and making new decisions is wonderful. I look back at my own journey from boyhood to manhood and see now, with the gift of hindsight, how I made it; how I made my way through it. WOW – there were some pretty scary and challenges time when I think about it. I often joke that my Guardian Angels must have worked overtime! 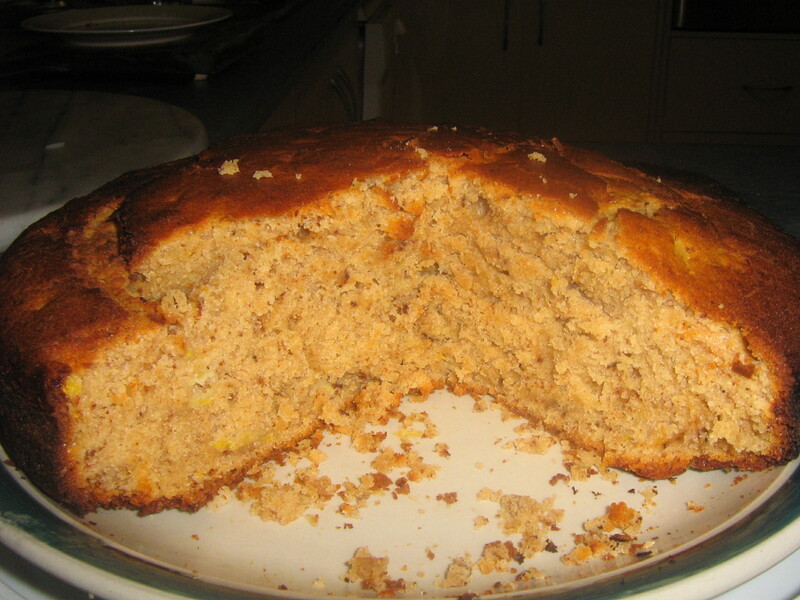 On the weekend my eldest son’s mother made a cake – a ‘moist coconut cake’ and it was very yummy. Here is my moist coconut cake recipe. Ingredients: 4 eggs, 200 grams sugar, 200 grams of softened butter, 150 grams of desiccated coconut, 300 grams of self raising flour, 1/2 teaspoon of vanilla essence, about 150 – 200 milliliters of milk – (I use coconut milk). Icing for the top and the middle – 100 grams of butter, 100 grams of icing sugar, 30 grams of desiccated coconut, a few drops of colouring – I use beetroot juice. Mix it all together. Method: Mix the eggs, sugar and butter in a bowl until light and creamy. Add the other ingredients and mix for 2 minutes until light and creamy. Place int o a lined/greased round 25cm cake tin and bake for 35-40 minutes on 180 degrees. 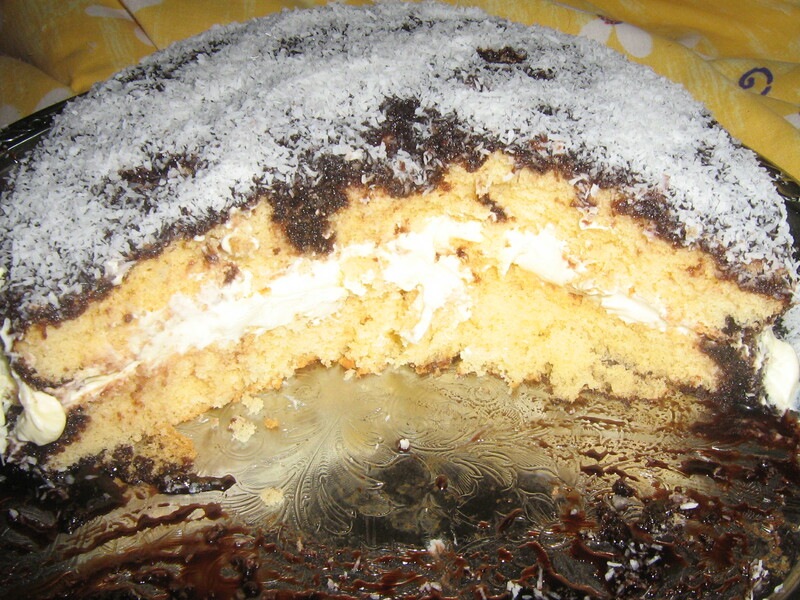 When the cake is cool, cut the cake in half and add half of the icing sugar mix. Then put together again and put the remainder of the icing sugar mix on the top of the cake. I have been dodging and weaving and excuse making and squirming and wriggling all week. I have sat in meditation, written words on paper, spoken to a friend and tried to look inside to see what the blockages are all about. So today, I had an intuition to listen into another coach that I have been working with for some time, who is in the US. I phoned into the weekly webinar this morning and guess what the subject for this week was? – yes, you have guessed it – Referrals! – Yes, I got a Double Wammy! So, I took the bull by the horns today and made a few phone calls – and WOW – it was not so difficult. The blocks faded to pebbles and then to dust and I was through it. The blockages were all about my Little Adrian not feeling safe and secure and feeling that he might be rejected and not feeling that he deserved any referrals. It was also about worthiness; about feeling worthy of people’s referrals. What a load of old nonsense that this can still come up for me. I would have thought that by now, after all of these years as an adult, that this would have been dealt with and finished with – but NO – it had not. So many of the things that we wish to do in our lives can be stifled or stopped from old blockages created from past experiences, beliefs or taboos. In my case, the idea of receiving a referral from someone was blocked from old belief systems. Once it was worked through and recognised for what it was, I could move on. This is such a common thing that I come across in my work with people; this blockage to take action. It is something that I have come to recognise in others, and in myself, much more easily and quickly and can now work more knowledgeably to remove or transform the blockages. It is a bit like calling in the plumber if there is a blocked pipe.As a coach I also do plumbing work with clients to clear the way for a better flow. If you have any current emotional plumbing needs, it may be time to call an emotional plumber! This weeks cake is a very special cake. If you make it you will be joining in with the energy of my daughter’s birthday, as it is this cake recipe that I used to make her birthday cake this week. Ingredients: 3 eggs, 300mls milk, 200grams of butter (softened or melted), 300 grams of self raising flour, 200 grams of sugar, 1 teaspoon of vanilla extract, 1 tablespoon of maple syrup (you can use honey), 100 grams of poppy seeds. Method: Mix the eggs, sugar, vanilla essence, maple syrup and butter in a bowl for 2 minutes. Slowly add the milk and mix in. Add the flour and poppy seeds and mix in well for another minute. Place mixture into a lined/greased 25cm round cake tin and bake for 30 – 40 minutes at 180 centigrade. Often with cakes, I place a flat (pizza) tin over the top f0or the last 10 minutes, especially with a fan forced oven. If you wish too, you can top the cake with butter icing. Ingredients for butter icing: 100 grams of butter, 150 grams of icing sugar and a few drops of vanilla essence and a drop or two of lemon juice. I also added a bit of cocoa to a small bit of icing and made some chocolate icing to make some little stars with an icing bag.